JumBow Customization – Customize your JumBow! This Listing Includes Customization and a JumBow. A Custom Car Bow is the Perfect Finishing Touch. 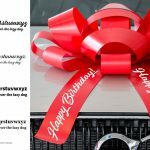 Make their day extra special with a custom car bow! 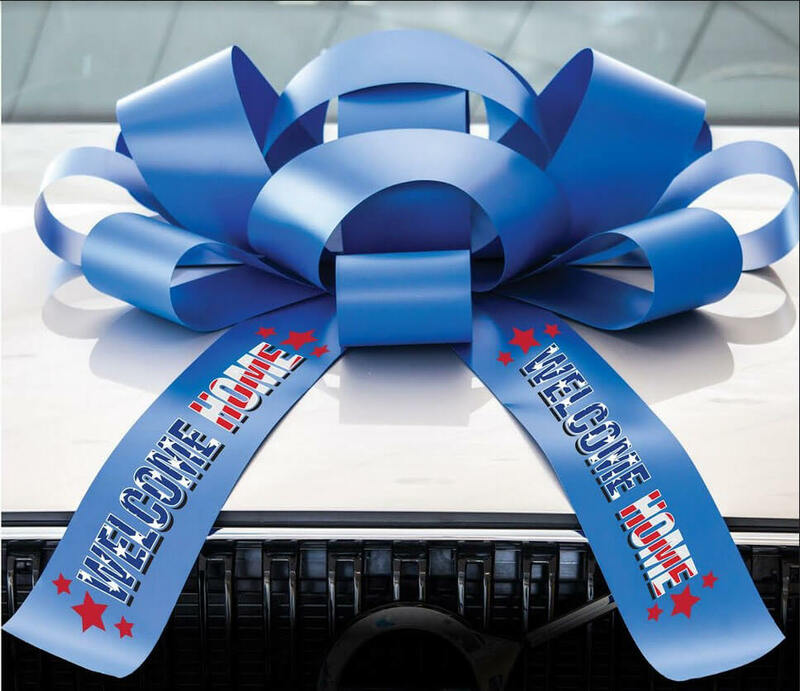 Do you have a special message you’d like to include on your car bow? Make your big bow as unique as your special gift! 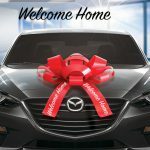 Receive the VIP treatment with this listing! Choose from any of our classic JumBow colors and our art team will help you create the perfect message to make your gift really stand out! Our custom car bows can be completed in as little as 24 hours. Choose any ‘Original JumBow’ from our selection. The JumBow is a 30″ Magnetic Backed Car Bow and can be found here: The Original JumBow. The Art and Set Up stage follows next where you will choose your font, your message and and any images you want to appear on the bow. Once done you will need to purchase your Custom Car Bow. Our art team will get to work! You can expect a series of proofs within 1-5 days from your purchase. We will move as quickly as possible. It’s important that you communicate with us promptly to make that happen and that you let us know if you have a deadline as soon as you purchase! Once your art has been approved the bow will go into production. This process can take anywhere from 1-4 days. Finally, your Custom Car Bow will ship! 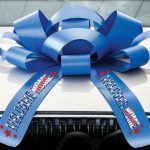 Do You Need More Than One Custom Car Bow? 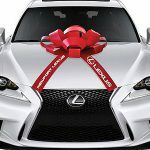 CarBowz offers a quantity discount on custom car bows! Your fee per bow drops significantly after the first! Why? Most of the initial extra $45 fee goes into the initial set-up and art consultation, regardless of whether you need 1 bow or 1,000 bows! 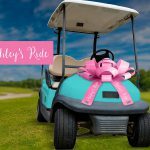 If you are purchasing more than one custom car bow please email us (orders@carbowz.com) or give us a call (888-509-5734) for a personalized quote. Check us out on Facebook! Let us know what you think about your special custom car bow.